Ali Zafar, with the release of his film Teefa In Trouble, set multiple records for Pakistan. An action, romantic-comedy, Teefa In Trouble, was the first Pakistani film to be distributed worldwide in collaboration with Bollywood bigwigs, Yash Raj Films. The film, also released in 25 different countries in multiple language. Last week, Teefa In Trouble was also brought back into cinema houses in Islamabad on popular demand, another first for Pakistani films. 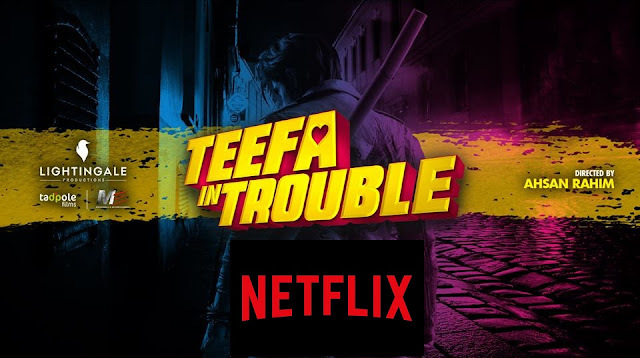 And now, adding another credit to its name, Teefa In Trouble has now been released on Netflix around the world, except China (where the film is looking for a theatrical release) and in Pakistan. "ANNOUNCEMENT: #Teefaintrouble now available in India and around the world (minus Pakistan/China) on Netflix. Enjoy!" wrote the star himself on Twitter. Ali Zafar has already made a name for himself in Bollywood, starring in major films across the border. Zafar starred in Tere Bin Laden, Mere Brother Ki Dulhan opposite Katrina Kaif and Imran Khan, Kill Dill alongside Ranveer Singh and Parineeti Chopra and also had a cameo in the Shahrukh Khan and Alia Bhatt starrer Dear Zindagi. Zafar's fans across the border are now rejoicing as they have finally gotten a chance to see their favorite actor in action, once again.